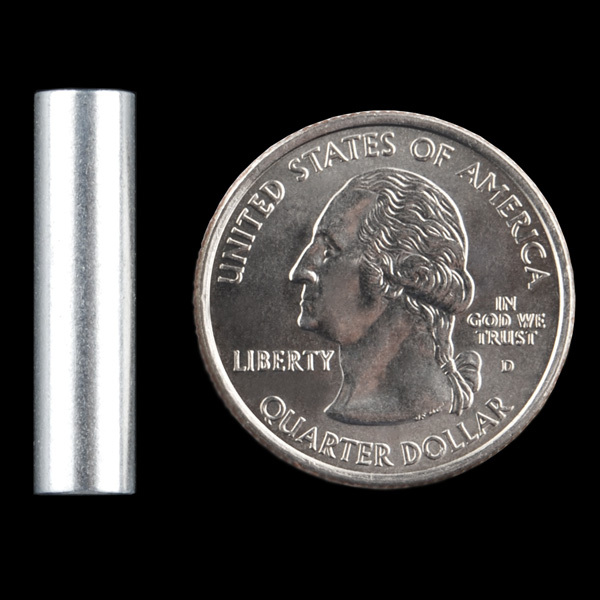 Metal long standoffs: 1" long x 1/4" OD. Used to get your proto board up off the table. #4-40 thread. Fits most development boards with available holes. Don't forget the screws, found below. **Note: **We are now selling these in packs of ten. 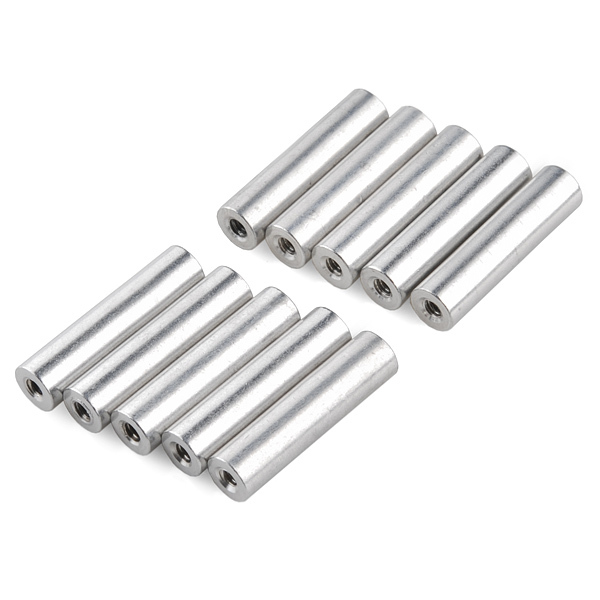 The image shows four standoffs but you will receive ten. A new image will be added as soon as possible. What happened to the 1/2" ones? In my experience 3/8" is too small and 1" too big in the majority of situations. 1/2" was perfect! "Fits all development boards with available holes"
These standoffs will not fit on several of your boards. Take your Real Time Clock Module for example.